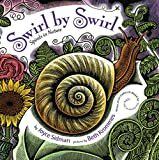 Joyce Sidman won a Newbery Honor for Dark Emperor and Other Poems of the Night and also wrote Song of the Water Boatman and Red Sings from Treetops, both Caldecott Honor books. For her remarkable poetry she has also won both the Lee Bennett Hopkins Award and Bank Street’s Claudia Lewis Award. She lives in Wayzata, Minnesota, where she loves watching for the first spiral fern fronds of spring. Beth Krommes won the Caldecott Medal for The House in the Night and is the illustrator of other beautiful picture books, for which she has been honored with a Golden Kite Award, a Bulletin Blue Ribbon, and many starred reviews. She lives in Peterborough, New Hampshire, where she finds delight in spirals of spider webs on cool autumn mornings.